Kankick & Twit One - 7"
Vinyl Digital Exclusive: Edition of 300 Copies! 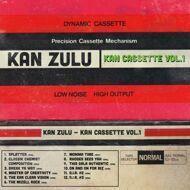 Check out this throwback beat record from California beat maker Kan Kick. A selection of 12 classic hip hop beats recorded at the Funk Farm between 1995 and 1997, including two brand new bonus tracks. Finally on vinyl for the first time EVER!